Construction Projects are of the most difficult and challenging endeavors. Independently of the size, projects are carrying Risks. Even one mistake in any of the different tasks on a project can create big or small problems which may result in schedule delays and cost overruns. In the present competitive environment of projects execution worldwide, with the financial stakes so high, it is critical the project to be managed effectively in every step during its entire Life Cycle. PM-Partners helping its clients to manage their complex and demanding projects on Time, within Budget and with the highest Quality. 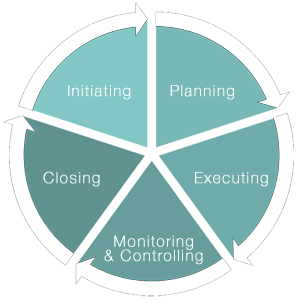 PM-Partners provides a Dynamic and Professional Project Management Service to meet the needs of our clients. We bring leadership to the project team and cultivate a positive and creative environment. This encourages innovation to flourish and provide the extra value that maximizes investment returns. In essence, PM-Partners provides constructive solutions. Building and positively sustaining project team relationships is the key to a successful project. In this initial phase, PM-Partners provides assistance to client to enhance the project’s apprehension, analyze and determine the objectives of the project with regard to Cost, Time, Scope & Quality specifications. In this phase, PM-Partners monitors & controls the physical and commercial Progress of the Project Implementation in relation to the produced outcome and the project objectives (Scope, Time, Cost and Quality) and propose any corrective measures where is considered necessary. In this phase we take care for the final arrangement of all outstanding project issues, for the Project’s Technical, Commercial and Contractual Closure. the implementation of operational tests and reviews, the final arrangement of all financial matters, the conduct of temporary and final handover procedures, the documentation of project deliverables, the presentation of actual project performance data and the administrative project close-out.